Recently, I've embarked on a project that I hope will be completed in two years. I am going over every post I have written since March 1, 2009. Right now, I'm in 2010, so I have some time to go. It started out as just to verify that everything I'd written had an archived link, but it expanded to check if links still worked, correct spelling mistakes, and make changes I felt were necessary (category reorganization, noting years). I found I was much too fond of capitalizing and ellipses, a sign of a maturing writing. As I looked over my various posts, I was surprised that I did not write a brief note on 2015's hits and misses. Not a Best or Worst of 2015, but a small section that covered areas I think should be. I know many people were thrilled to see a new Star Wars film, one that told what happened after Return of the Jedi. I was entertained by it, I won't lie. My issue with The Force Awakens is that it was essentially a retread of the original trilogy. It was a case of 'you've seen the first three, you've seen this one'. I know people cheer that we have a female lead, all well and good. I have no strong feelings about that one way or another. 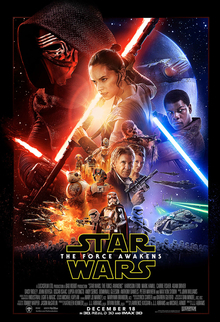 I just found The Force Awakens to be warmed-over Star Wars, which people might like but I wanted something more than a repeat. My sense is that War Room got some of its bad reviews because it was a Christian-film. I think some others just thought it was a bad film, and I'm not going to argue with them on that. However, given how the Kendrick Brothers have consistently bombed in their efforts to make a good Christian film, the fact they stumbled onto one should be celebrated. 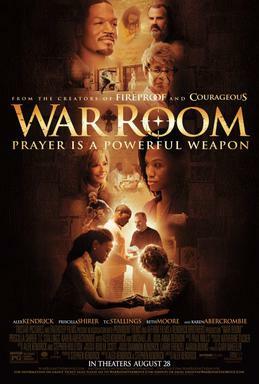 War Room is a departure for them in that it centers around African-Americans when in the past, they would relegate them to almost being nonexistent. That is bad enough, but when they set their films in Georgia, that just sounds downright bizarre. For what it was, War Room was above what I've seen before. In Goldmember, we get a shocking twist in that Dr. Evil and Austin Powers are brothers. Spectre didn't go that far, but it teetered on the edge of parody when it is revealed that Blofeld, James Bond's arch-nemesis, was practically a brother to Bond, who conveniently doesn't remember this. That should be nonsense, but too many critics went along with it, along with trying to tie in the previous Daniel Craig Era Bond films to Spectre with clumsy results, scene-chewing from Christoph Waltz as the comical villain, and one of the worst Bond Themes ever made. The fact that Writing's on the Wall, written in twenty minutes and done in one take, went on to win Best Original Song just adds a sad note to a film that played like a 007 spoof. I constantly marvel at how good the Marvel Cinematic Universe films are. They've had a few bumps but on the whole this long-lasting series continues to surprise me. I didn't think Guardians of the Galaxy would be good, but it turned out to be among my favorite MCU films. Same goes for Ant-Man, a movie smart enough to laugh at itself without making itself a joke. Both concepts, a bit out of the more traditional comic book-based film, does a great job in making things both realistic and fantastic.